TISIRI's Joe Kistel and Larry Davis received a tip from Monica Landeros of First Coast News yesterday afternoon that a North Atlantic Right Whale had made its way into the St Johns River. Landeros reported it was last spotted near the Mayport area. Kistel and Davis jumped in the truck and headed to the Mayport Boat Ramp with Davis's camera equipment in tow. 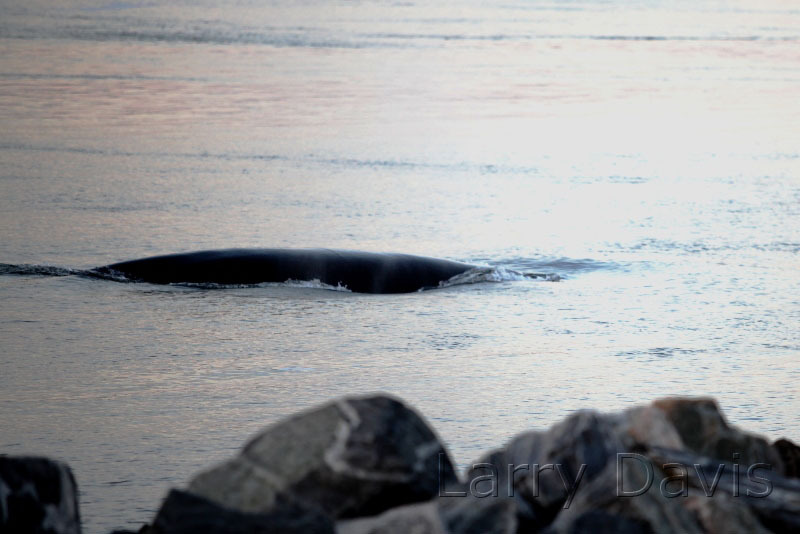 They arrived on scene about 5 pm but saw no sign of the whale near the boat ramp. The sun was getting low at this point and Davis was concerned there would not be enough daylight for photography if the whale was not spotted soon. 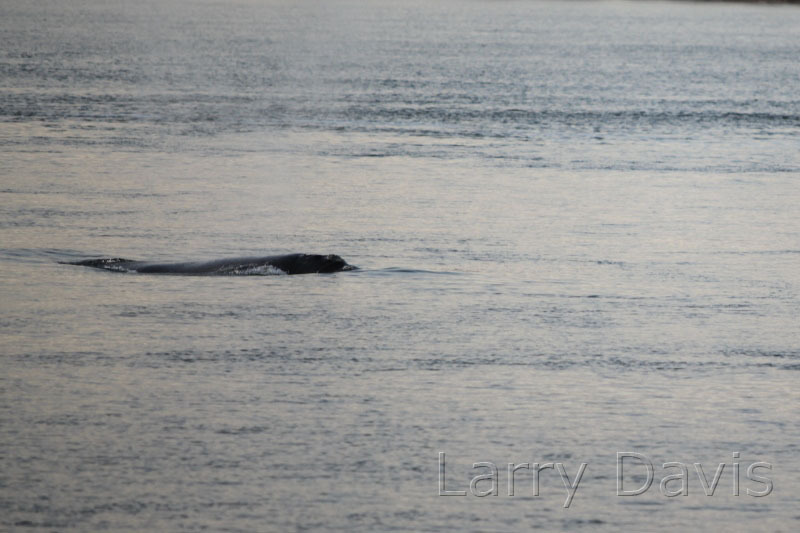 At that moment the two could hear the whale spotter plane and saw it was further West up the river. They jumped back in the truck and chased the plane until they could drive no further. They ended up at the Helen Floyd Copper Park off Wonderwood / A1A. From there they could see and handful of Police and regulatory vessels near the area where the St. Johns River and the Intracostal waterway meet. At first they just saw the boats but then off in the distance they could see puffs of water mist on the horizon. The whale seem to stay off in a distance for some time but at some point it decided to head straight back to the Atlantic. 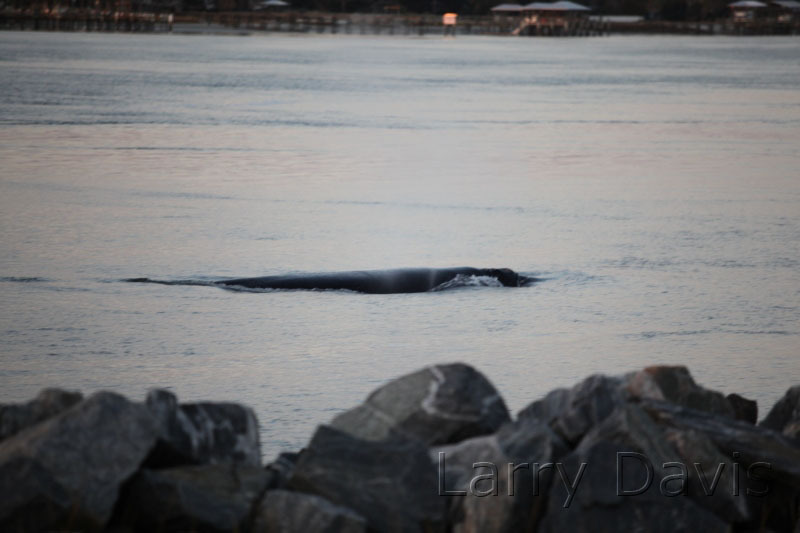 To the surprise of both Kistel and Davis the whale broke the surface of the water very near to where they were and Davis was able to snap a few pictures of the Right Whale. While fishing with my wife on Lake Poinsett Sunday, October 5 there were three whales that passed us by about 50 yards away. I couldn’t believe there could be whales this far up in fresh water but I could be nothing else. If somebody told me that I would be very skeptical but we saw what we saw. Has there ever been sighting this far South in the St Johns River system? While fishing with my wife on Lake Poinsett Sunday, October 5 there were three whales that passed us by about 50 yards away. I couldn’t believe there could be whales this far up in fresh water but it could be nothing else. If somebody told me that I would be very skeptical but we seen what we saw. Has there ever been sighting reported this far South in the St Johns River system? Is there an agency I should report this to?